Bookworms, book lovers and the like will love this fascinating, fun facts about your beloved books. You will enjoy this amazing collection of information and might learn a thing or two. In 1939 an author named Ernest Vincent wrote a 50,000 word novel called Gadsby. The only thing unusual about the novel is that there is not a single letter ‘e’ in the whole thing. There have been over 20,000 books written about the game of Chess. Perhaps the most uninteresting book ever written is the calculation of pi to two million places, in 800 pages. Just think of the TV special that could be made from this script. And speaking of Shakespeare, can you imagine John Wayne reciting Shakespeare? Well, he did one time, and won a Shakespeare contest. One out of every eight letters you read is the letter ‘e’. The following words were invented by William Shakespeare: boredom disgraceful hostile money’s worth obscene puke perplex on purpose shooting star sneak Until his time, people had to have their conversations without these words. In America, we buy 57 books per second. It would take a shelf 78 miles long to hold all of one day’s books. More than two and a half billion Bibles have been made. If you put them on a long bookshelf and started driving along the shelf at 55 mph, you would have to drive 40 hours per week for over four months to get to the end. All these Bibles would fill the New York public library 467 and one-half times. The Bible contains 3,566,480 letters, or 810,697 words. Leo Tolstoy wrote a large book called War and Peace before computers and copying machines. His wife had to copy his manuscript by hand seven times. 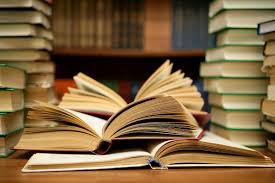 Americans buy approximately five million books a day. 125 new titles are published every day. The first published book ever written on a typewriter was The Adventures of Tom Sawyer. Mark Twain used a Remington in 1875. It took Noah Webster 36 years to write his first dictionary. Jonathan Swift wrote a classic book called Gulliver’s Travels that borders on science fiction. It was written before science fiction was what you called such books. In this book he wrote about two moons circling Mars. He described their size and speed of orbit. He did this one hundred years before they were described by astronomers. The man who wrote the Sherlock Holmes stories, A. Conan Doyle, was a professional ophthalmologist, an eye doctor. Because in his time specialty medical practices were hard to build and didn’t pay well, he had to take up writing to make ends meet. For the last 12 years of his life, Casanova was a librarian. Charles Dickens had to be facing north before he could write a word. There are 72,466,926 books in the Library of Congress on 327 miles of bookshelves.